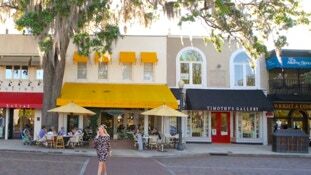 WINTER PARK: Located approximately 40 minutes drive from our vacation homes. This is the quintessential late 1800’s Florida Rail Road town, founded to escape the cold winter months, it soon became a popular, and prestigious year round town. The beautiful Park Avenue is home to restaurants, unique shopping, cafes, ice cream parlors, bars, and coffee shops all bordering the picturesque park. Take a scenic boat tour to get another perspective and don’t miss the Morse Museum of American Art. Winter Park is home to the world famous Winter Park Arts Festival. Simply charming. WINTER GARDEN: Located approximately 25 minutes drive from our vacation homes. Founded in 1910 Winter Garden offers a glimpse at a Florida Rail Road town. 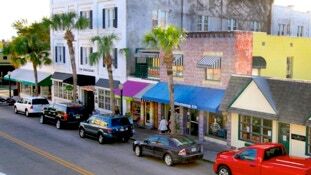 Today the beautifully restored downtown is home to shops, restaurants, bars, cafes, and coffee shops. Winter Garden is also home to the West Orange Trail bike trail. 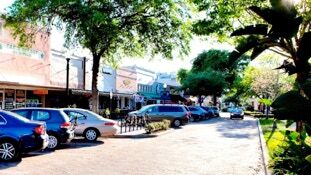 MOUNT DORA: Located approximately 40 minutes drive from our vacation homes. Sitting high on a limestone bluff overlooking Lake Dora this historic town beckons visitors with its quaint antique shops, unique cafes, and old world charm. The town was founded in 1880 and was popular in the winter with hunters, fisherman, and boaters. With the boom in the Citrus industry the Rail Road came to town in 1887 but it was in the 1920’s that the town really began to grow. Today Mount Dora is rich in history and a picturesque place to visit. It is also host to many festivals throughout the year including the famous Mount Dora Arts Festival. EATONVILLE: Located approximately 35 minutes drive from our vacation homes. The tiny enclave of Eatonville is America’s oldest African American municipality and home to Zora Neale Hurston, a famous renaissance writer. The town’s significance is portrayed through churches, buildings, and the Zora Neale Hurston National Museum of Fine Arts, which rotates exhibits by African American artists. DELAND: Located approximately 65 minutes drive from our vacation homes. Founded in 1876 DeLand was originally only accessible by steamboat up the St. Johns River. In 1883 the DeLand Academy was founded, which in 1889 became Stetson University which is still located in the town. The Downtown DeLand Historic District is home to many 19th century buildings, while the Garden District is graced with buildings form the 1900’s and 1920’s. After experiencing a decline from the end of World War Two until the 1980’s DeLand has since seen a revival with many of the homes and buildings in the area being preserved, including the Athens Theater, built in 1921. Today DeLand is brimming with history and charm with the downtown area home to antique shops, stores, restaurants, bars, and cafes. WINTER HAVEN: Located approximately 30 minutes drive from our vacation homes. Originally founded in 1884 as Harris Corners, Winter Haven is like a microcosm of Florida history. The initial boom was due to the Citrus Industry but the area, like the rest of Florida, experienced a major boom in the 1920’s. Winter Haven has over 50 homes on the National Register of Historic Places from this period. The opening of Cypress Gardens in 1936 the area experienced another boom. All of these periods of booms are reflected in the architecture of the area. Locally Winter Haven is famous for being the home of the first Publix Supermarket. Today the quaint downtown area is home to beautiful park areas, restored buildings, stores, and restaurants.